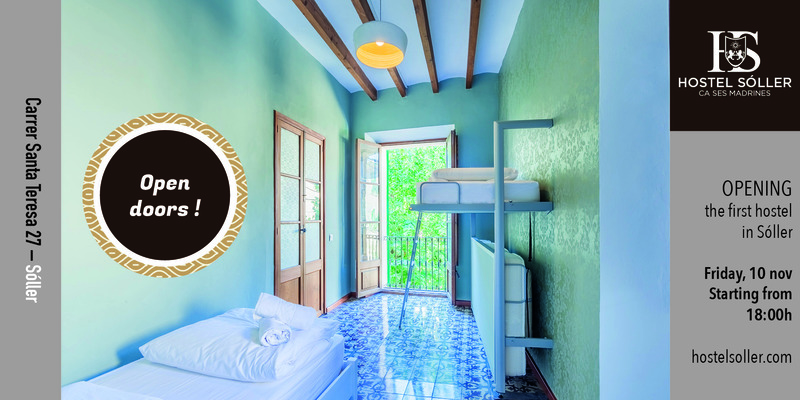 Hostel Sóller will officially open its doors on the 10th of November. After two years of work, Sóller’s first hostel is completed and looking forward to receive its firsts guests. We invite everyone to come along on Friday 10th of November, from 18:00h onwards, to celebrate together with us the opening of Hostel Sóller.